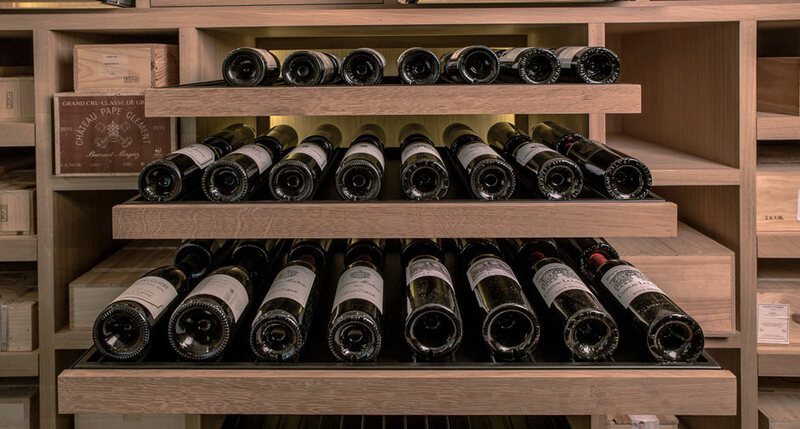 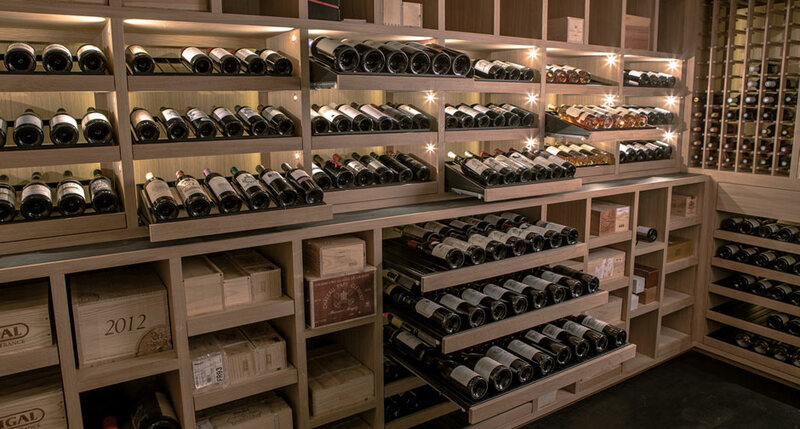 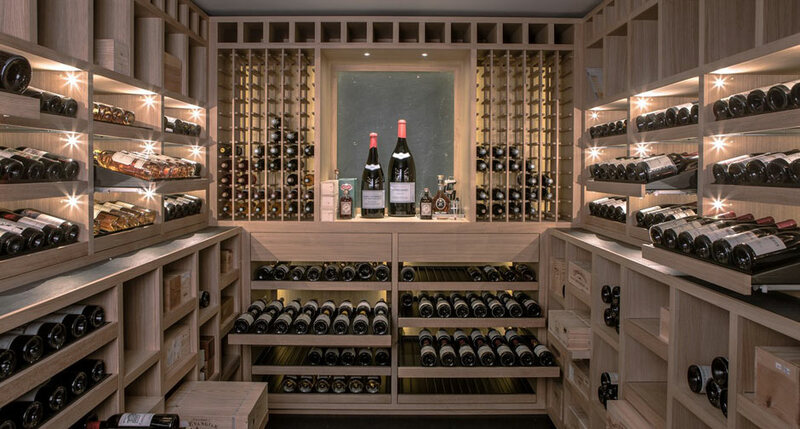 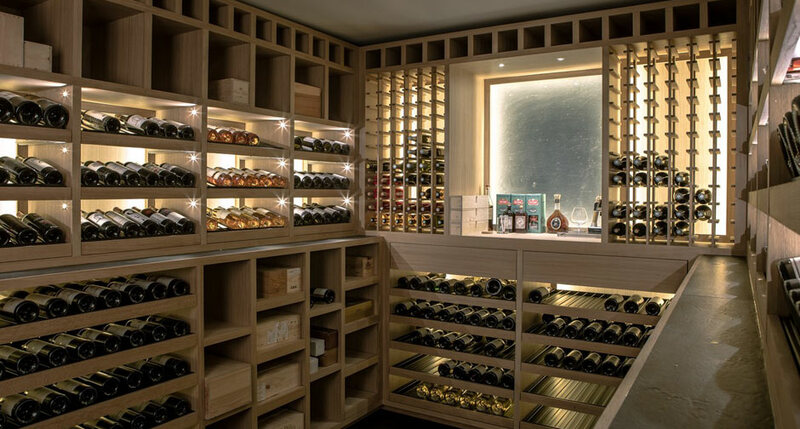 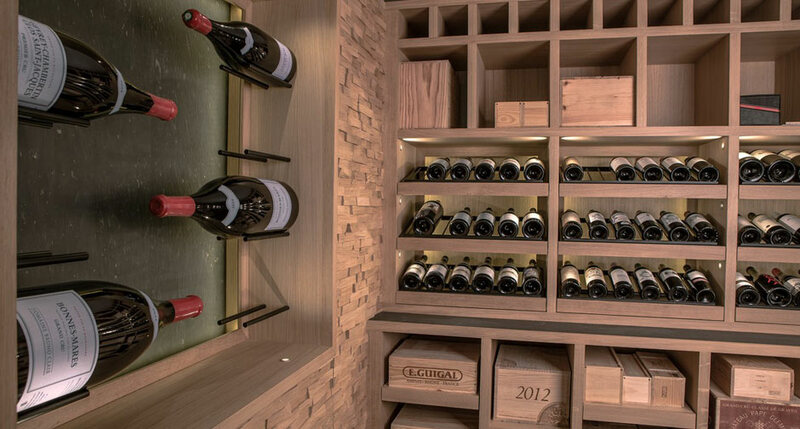 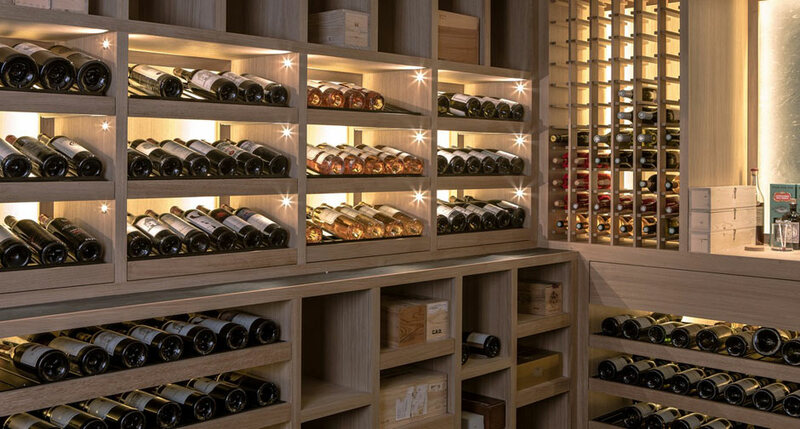 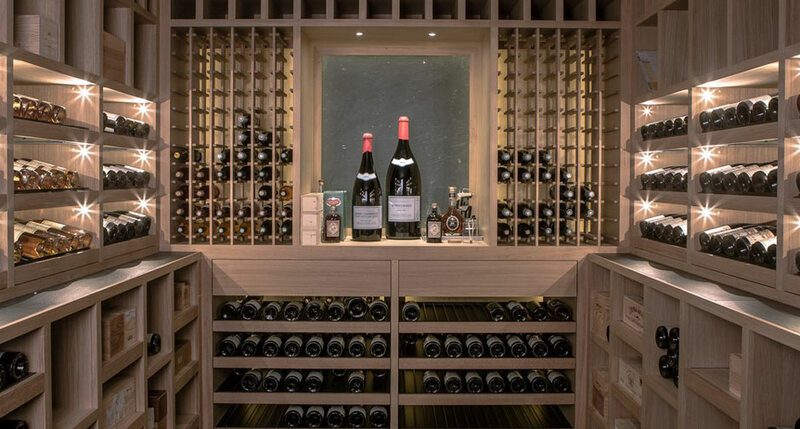 Wooden cases, bottles, large and very large sizes… everything has been thought of to provide the best possible storage and display of the various bottles in this magnificently-stocked cellar. 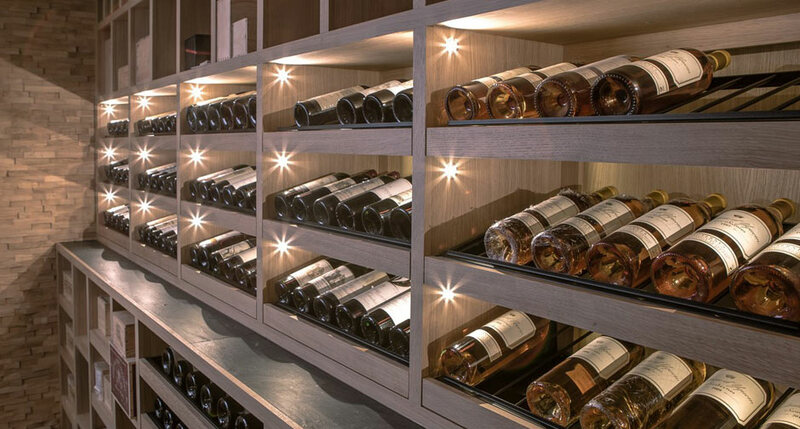 Wide sliding drawers for bottles stored flat or on an incline and for wooden cases make the cellar extremely functional without any loss of attractiveness. 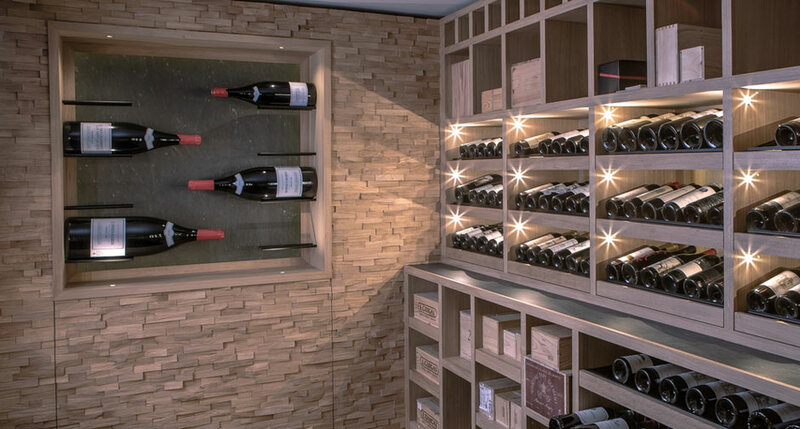 The shale with inlaid copper pyrite attracts the light to provide a structured effect and subtle reflections.